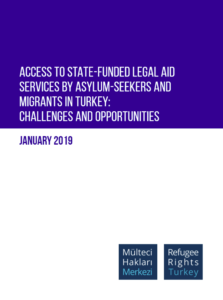 RSN's sister organization, Refugee Rights Turkey, conducted an evaluation of the state-funded legal aid system in Turkey (Adli Yardim) and how it has thus far served the roughly 4 million refugees in the country. The report is released as part of a RSN-RRT project collaboration. 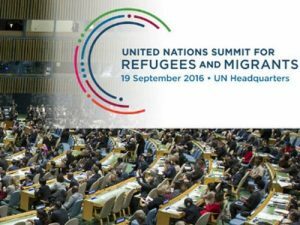 RSN and RRT make available the English version in order to share efforts being undertaken to secure access to justice in the world's largest refugee host country, as such endeavors may be of interest and instructive for other refugee hosting contexts. 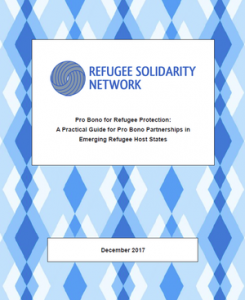 In December 2017, RSN published this original report detailing the possible ways NGOs and legal service-providers in refugee host states can harness the potential of pro bono partnerships to support refugee rights. The report is a first-of-its kind guide for practitioners in developing countries lacking an established culture of pro bono. The report focuses on NGO-law firm partnerships and is the first in a series of ongoing publications and project activities intended to increase the availability of legal assistance services for refugees and asylum-seekers in key locations. 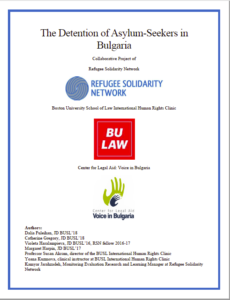 Over 2017-2018, RSN collaborated with the International Human Rights Clinic at Boston University School of Law and Sofia-based NGO Center for Legal Aid - Voice in Bulgaria to investigate detention practices and conditions. 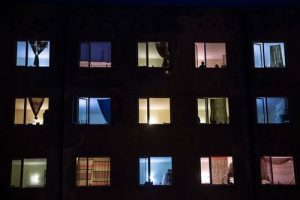 This report details RSN's visit to Bulgaria in winter 2017, and presents our findings regarding the state of refugee actors in the country. 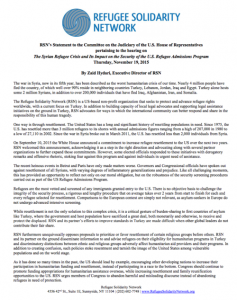 In September 2016, as a member of civil society RSN issued a statement regarding the New York Declaration for Refugees and Migrants. RSN’s Annual Report for 2017 is available here, documenting our activities from the year. RSN had an exciting year over 2016. 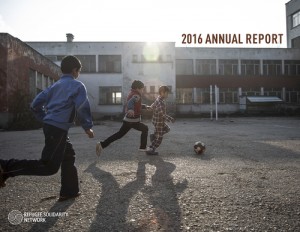 Learn about our work and the refugees we served in our Annual Report. 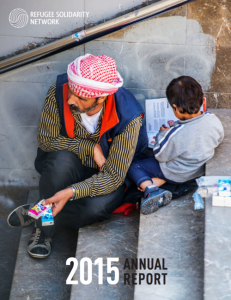 RSN's 2015 annual report is available here. 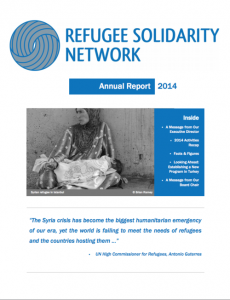 RSN's first annual report is available here.